A second honeymoon is something you might have never thought of doing after you were married. It might even seem like it isn’t an option at this point. There are other obligations in life that might keep you busy and hold you back from even thinking about a second honeymoon. After all, there are your jobs, children, and other responsibilities that make it seem impossible. Just because it might seem like a second honeymoon is out of reach, it doesn’t mean it’s not worth looking into. There are many positive things that a second honeymoon can do for you as a couple in your marriage. Take a look at these 8 reasons why having a second honeymoon is a great idea. A second honeymoon gives you the opportunity to fall in love all over again. It’s a great way to remember why you have chosen that person to create and spend the rest of your life again. You love them after all. After years of marriage, you might be struggling. Taking a second honeymoon can just be the right choice for you both. Removing the daily struggles of life can help you focus on your relationship with each other by removing distractions. You can rebuild, both emotionally and physically, your marriage together. While a second honeymoon might feel like it only benefits you and your spouse, it can also improve your relationships with others. Your core relationship with your loved one is important to ensure it is a healthy and strong one. It will help creative a positive outlook and impact your other relationships with your children, family, and friends. 4. Didn’t get the first honeymoon you wanted? If your first honeymoon didn’t go as you had planned by not meeting your exceptions, then go on a second honeymoon. If you didn’t have the expenses at the time, then go on your first honeymoon together. No matter if you had or didn’t have a honeymoon, now is the time take the first or second one! 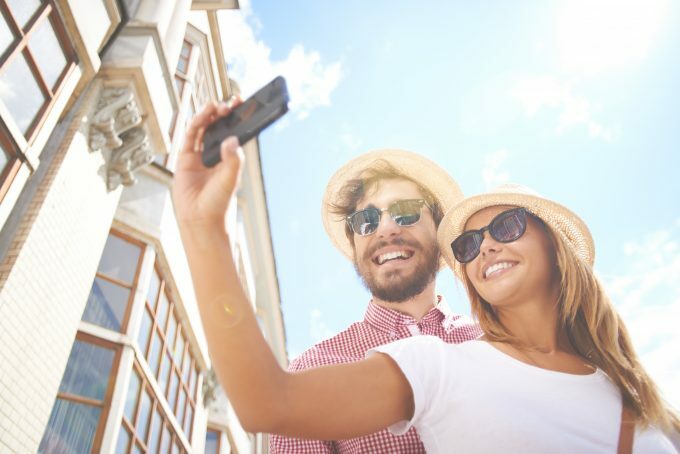 Not only does a second honeymoon allow you to reconnect with your life-long partner, it’s a chance for you to kick back and enjoy a break from life. You get to escape work, the kids, and the endless to-do list you might have. It’s an opportunity to stop and refresh. A life with children often means less alone time until they are out the door on their way to college or moving out. In your hectic lives, it definitely can be challenging to find moments of privacy together. These moments are surely important in your relationship with each other. Taking a second honeymoon can help you embrace all the alone time you need. Moving out of the daily routine of life can help you both step back and talk about what really matters. Your daily life can become filled with things that are only important short-term. A second honeymoon can give you the opportunity to have valuable discussions about matters you need to speak about. You definitely get an opportunity to take a look back and reflect on how far you both have come in your marriage. A lot has changed in your relationship and even lives together. Take a moment to reflect on the good and bad memories and what ways you can work together to create more memories after you return. Whether this will be your first or second honeymoon, it’s important to take the time get away from the hectic life you two have created and rekindle your relationship. A honeymoon can rebuild your relationship together and even give you an opportunity for you two just to be alone and have a memorable time together that you both look back on. Your marriage is something that should be celebrated, so take the time to invest into going on a honeymoon together!